Kauffman Vodka Hard is a popular Vodka available from TheDrinkShop in 70cl to buy online. Visit TheDrinkShop for the best price for 70cl of Kauffman Vodka Hard or compare prices on our other Vodka products. Kauffman Vodka is a Russian brand of vodka produced in Moscow, Russia. Introduced in 2000 by Dr. Mark Kauffman. 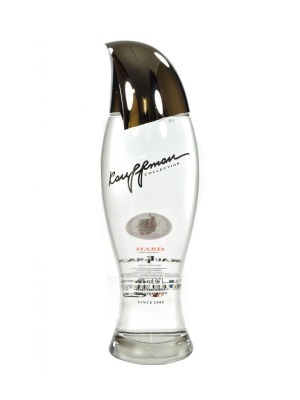 Kauffman Hard Vodka is distilled fourteen times and filtered twice: once through birch coal, and once through quartz sand. It's a robust vodka with notes of mint and pepper. Where to buy Kauffman Vodka Hard ? Kauffman Vodka Hard Supermarkets & Stockists. You can buy Kauffman Vodka Hard online in most retailers and find it in the Vodka aisle in supermarkets but we found the best deals online for Kauffman Vodka Hard in TheDrinkShop, DrinkSupermarket.com, and others. Compare the current price of Kauffman Vodka Hard in 70cl size in the table of offers below. Simply click on the button to order Kauffman Vodka Hard online now.